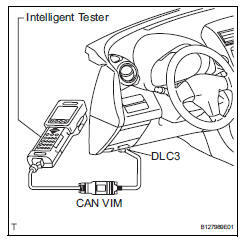 Select the "signal check", and continue checking with the intelligent tester. Select the "signal check" from the "dtc check" screen displayed on the intelligent tester to clear the output dtcs (both present and past). Check mode is more sensitive to malfunctions than normal mode. If the normal system code is output in normal mode even when a sensor signal malfunction is suspected, perform the inspection in check mode.